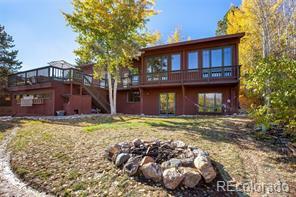 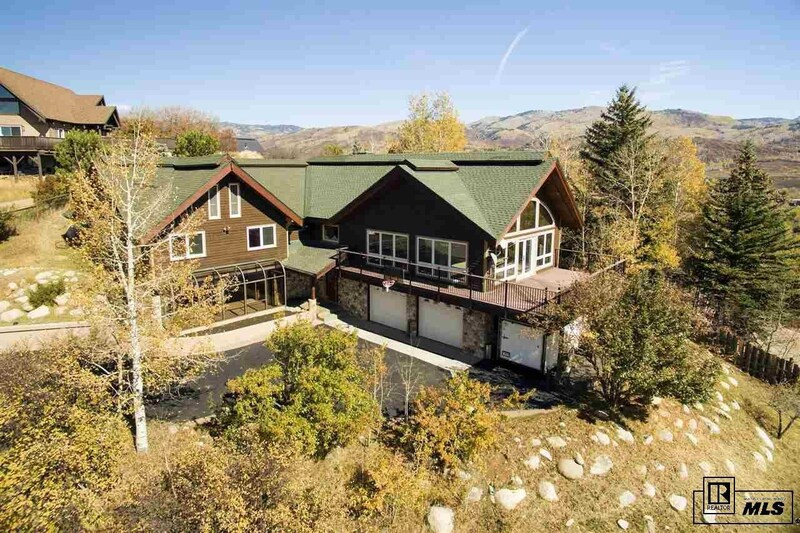 With direct views of downtown, Howelsen Hill and Emerald Mtn, this 5,086 sq. 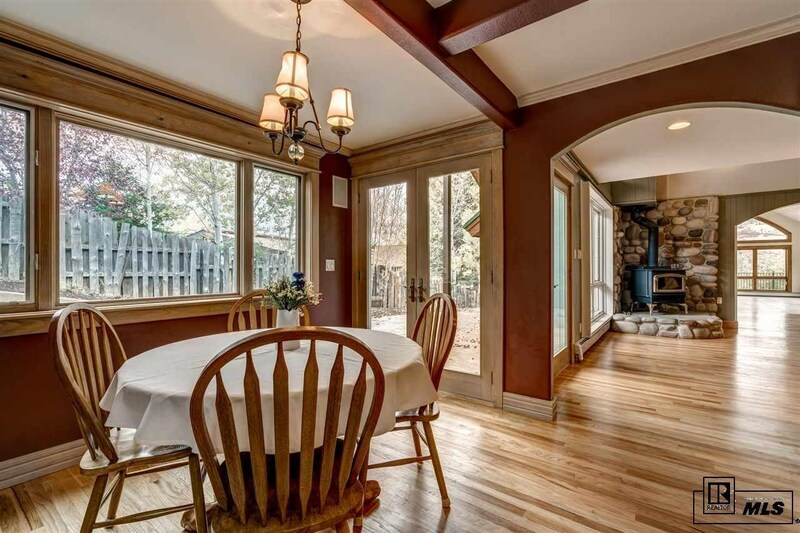 ft. home is within walking distance to the downtown shops and dining. 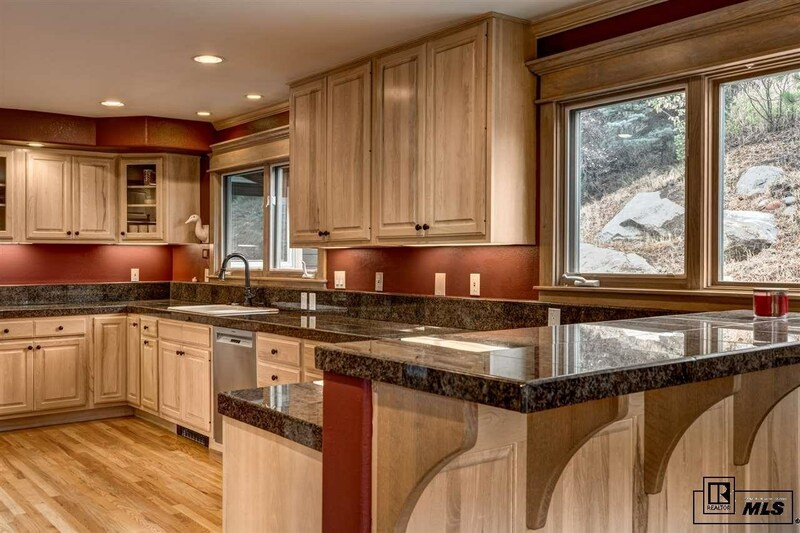 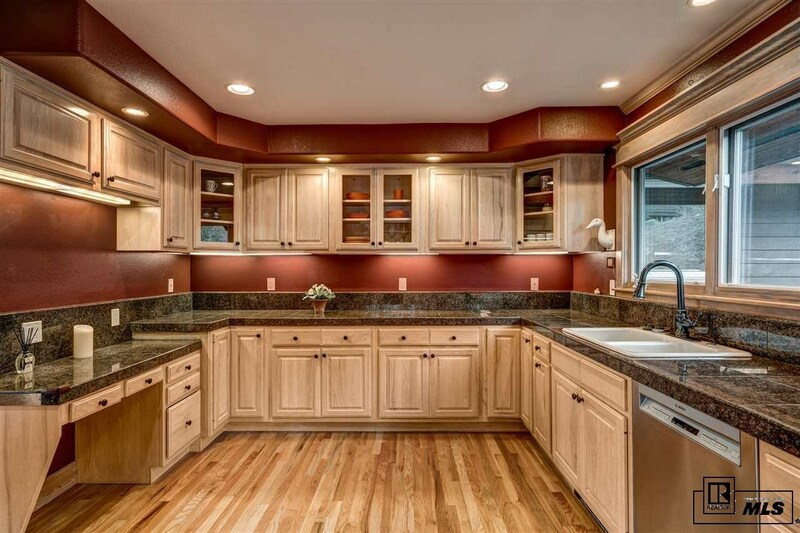 The private 5+ bedroom home has undergone a remodel giving it the look and feel of a new home. 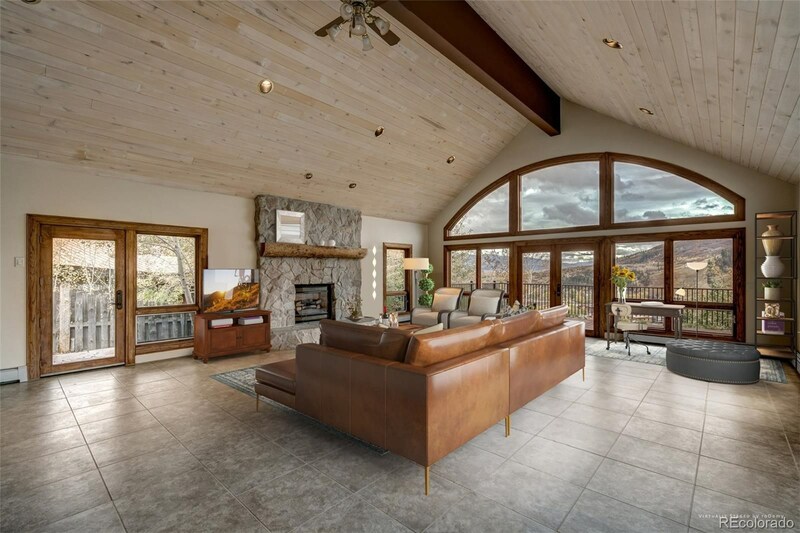 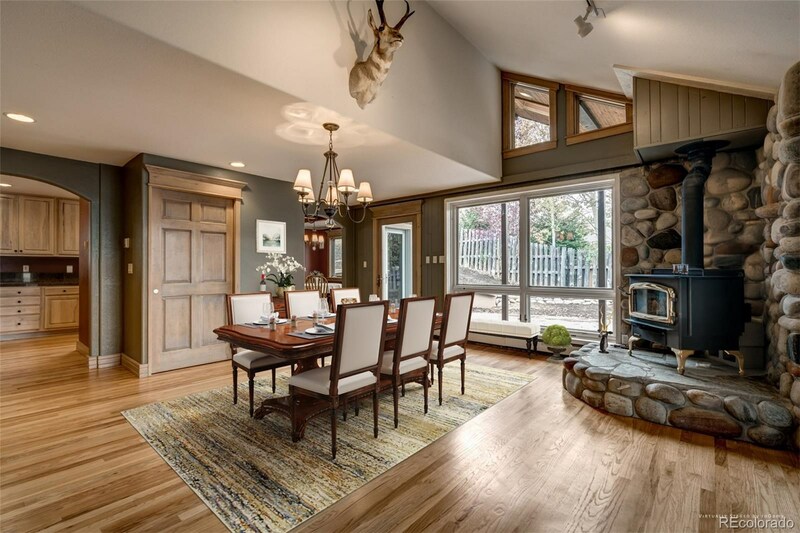 A spacious great room is surrounded by large picture windows and there is a central fireplace with a stone surround making the room perfect for entertaining and large gatherings. 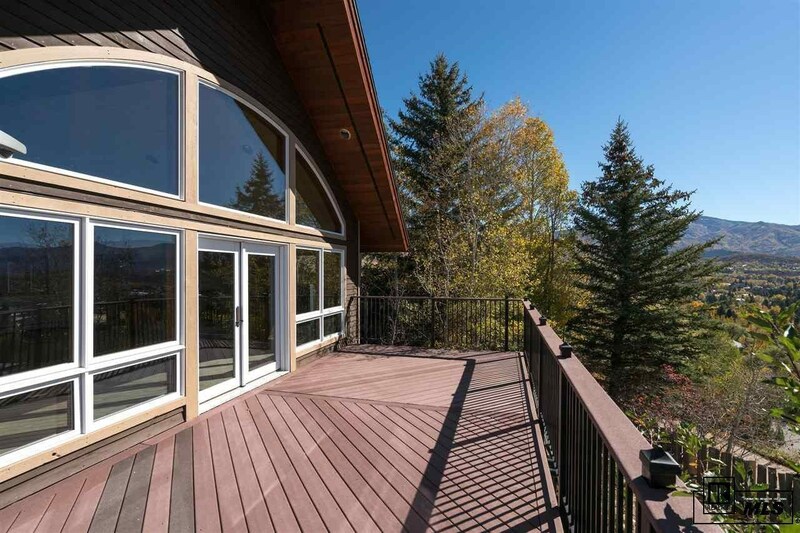 A wrap-around deck overlooking Mount Werner and Emerald Mtn create the feel of being in a hot-air balloon floating above the valley. 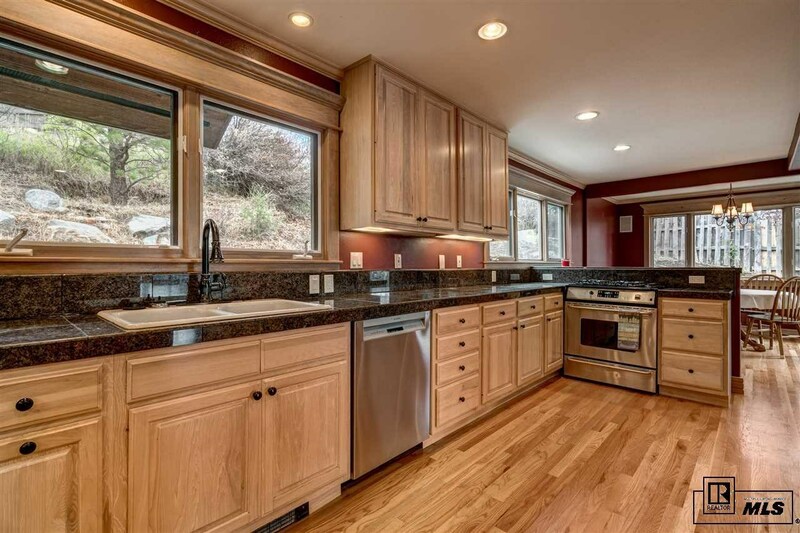 The spacious and well-appointed kitchen has both a breakfast nook and formal dining area that also opens up to a private side patio. 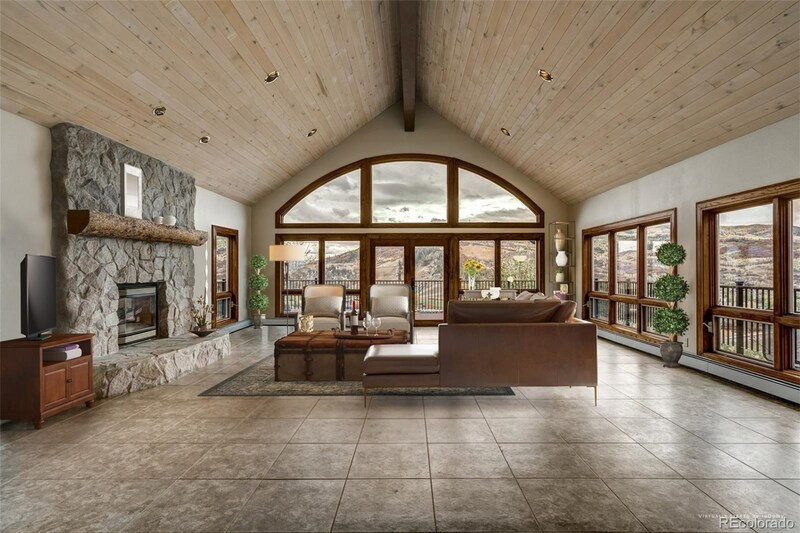 3 bedrooms are situated on the main level including a luxurious master suite. 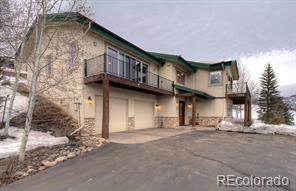 Upstairs has two large bedrooms and an open office area. 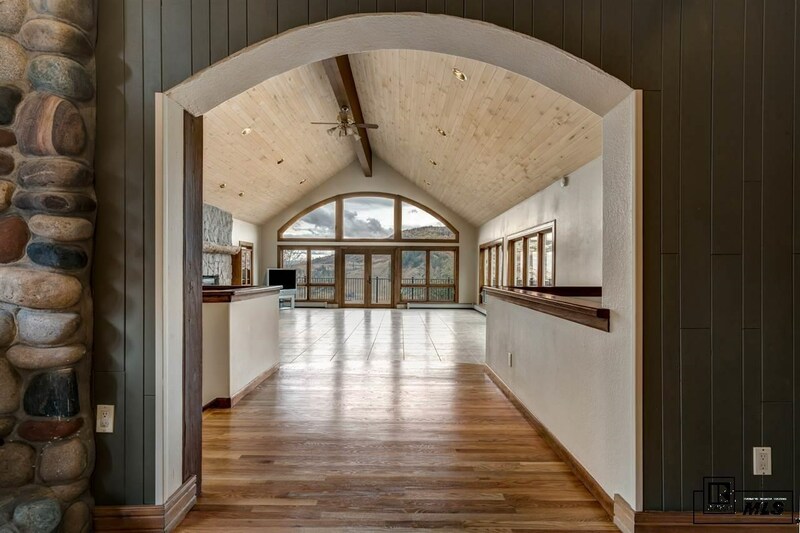 The finished lower level warms with a windowed solarium and creates a fun family/recreation room. 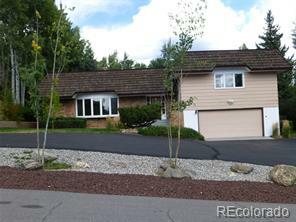 There is also an oversized 2-car garage and an additional carport.